The Galapagos Islands, a remote archipelago off the coast of Ecuador, may be the birthplace of our scientific understanding of evolution. 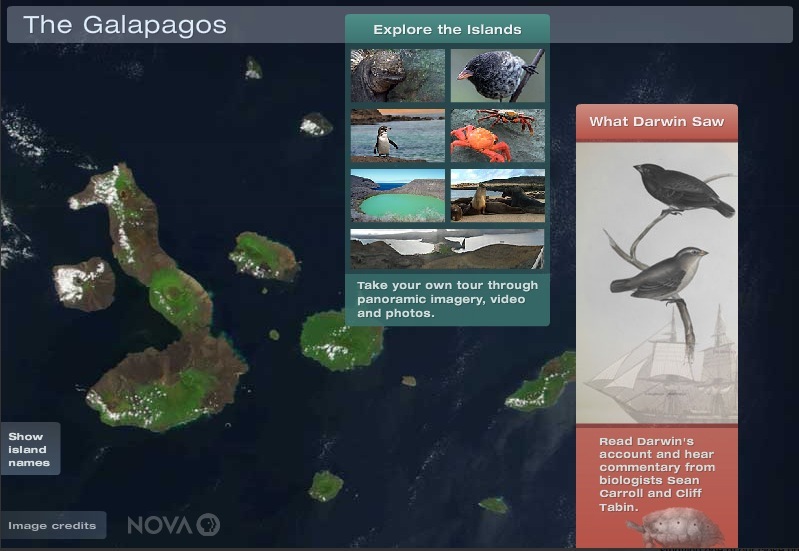 Charles Darwin, who put the Galapagos on the map, pointed to them as the “origin of all my views.” In this multimedia feature, get a sense of their extraordinary animals and landscapes through panoramic photos, video, and audio. And trace Darwin’s journey to see how the islands sparked his thinking about evolution. This interactive was originally produced for NOVA, the PBS science series.